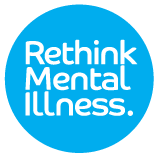 We have over 200 mental health services and 150 support groups across England. From psychological therapies and Crisis and Recovery Houses to peer support groups and housing services, we directly help thousands of people every year across England. Find out what we have near you. Over 90% of people using our services say they are respected, listened to and get the right kind of support.